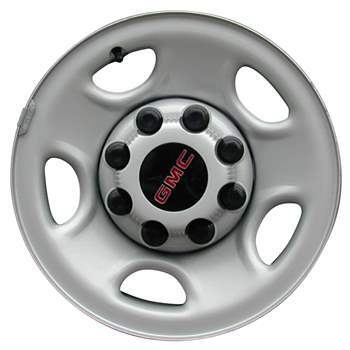 This is a 5 Spoke 16x6.5 Inch, 8x6.5 Bolt Pattern, One Piece Steel Wheel, Rim. The position on the vehicle is Universal. Interchange Number is 5195. Manufacturer Part Number is 9595396; 9595400. Identification Stamp Number is HAK; HAL; RJT; TZB. Our company is not affliliated with General Motors. All trademarks mentioned herein belong to their respective owners.